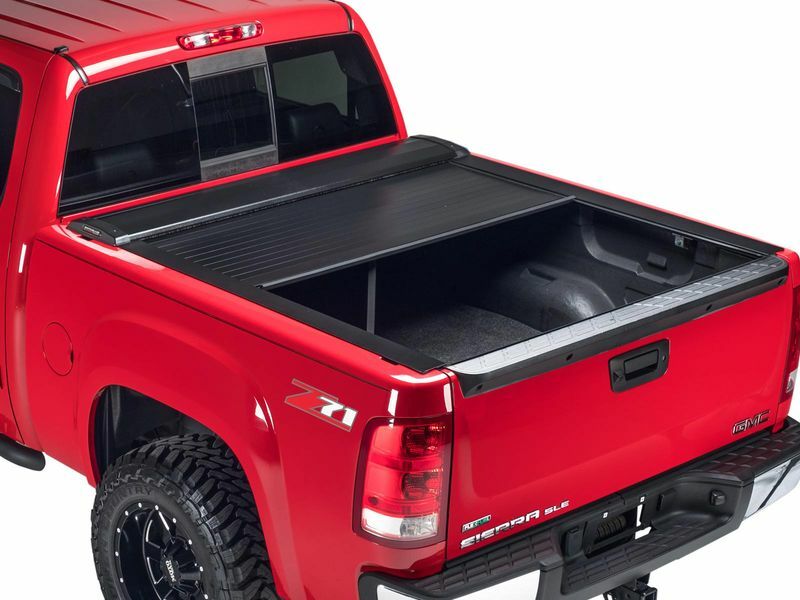 The Switchblade Metal tonneau cover is made from high-strength, extruded aluminum slats to provide a lightweight, yet sturdy construction. For the ultimate protection, the Switchblade Metal features a heavy-duty powder coated exterior to resist scratches and dings. The canister is compact and features angled corners for extra clearance, but it is made to be easily removed for full bed access. No special tools are needed. No special tools needed to install the Switchblade Metal tonneau cover. All that is needed is a 7/16 inch wrench and a Phillips head screwdriver. The Switchblade Metal helps to funnel most excess water through channels and out through the drain tubes. Drilling may be required on some vehicles to install the drain tubes.